Click 1st link at bottom of page to hear speed of raw data. Via various artifices, the hunters did manage to catch glimpses of their night callers and determined they were large and appeared quite hairy. Tracks showed them to be huge homonids… man-like creatures. These tracks showed them to be bi-pedal and of a size that none in camp could come close. Since the US Marine Corps had a winter survival school just a hundred or so miles distant, the group refused to rule out the possible of human pranks being involved. Although the camp did not operate in the summer and the trip these hunters had made to reach this remote area mitigated against all but the most unlikely events that could cause the events they had witnessed, the decision to err on the side of caution prevailed and no ultra-normal source was contemplated as a source. Discussion and the need to remain plausible led the men to share the audio they had recorded with a newspaper reporter who determined to put a lie to not human sources being responsible. When Al Barry teamed with Ron Morehead in 1971, it began a long-time friendship and working relationship. 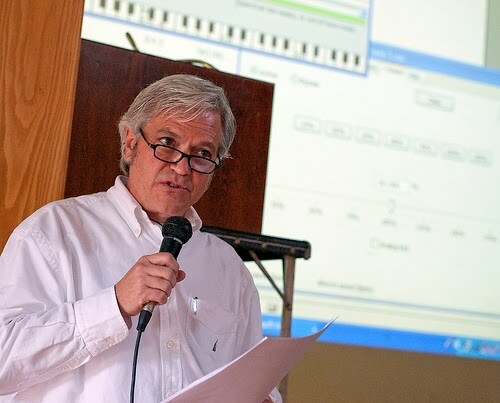 Al Barry made sure recordings were done professionally and with better equipment than restauranteur Ron Morehead had at his disposal. Further, Al had contacts that were beyond Ron’s range of experience and was able to have all the recordings vetted by a University Professor to prove that no “tricks” had been perform on the audio or the recordings to make them anything other than what they seemed to be. He issued a certificate that stated, among other things, that there was no alterations performed on the data recorded… that there had been no erasures or record overs… these are all easily seen with the right equipment. So, what are we left with? Literally, there are hundreds of hours of audio of unknown bi-pedal primates making noises and sounds while, seemingly, interacting with a group of hunters over a several year span of time beginning in 1971 and continuing as late as the hunters’ last trip into the remote mountains only very recently. Enter next, in 2008, a retired US Navy Cryptolinguist named R. Scott Nelson. In the Navy, Cryptolinguists are, basically, spooks… Most of their work is at the behest of the NSA or the CIA and they spend their time in headphones, listening to radio transmissions. These transmissions do not have to be in a language that particular CS (Comm Specialist) speaks… but even if he didn’t speak the language, he had to be able to determine if it was language or just gibberish… and only humans can speak or transmit in gibberish. If this was a message in, say, Svendi and he didn’t speak Svendi, he had to be able to recognize what would constitute language in Svendi. If the incoming was determined to be language, the recording of it would then be forwarded to those who actually spoke the language to perform their magic on it. “Dad, I need to do a school report and I don’t know what to do it on,” stated 12 year old Steven Nelson. It was the discovery of these basic morphene streams that alerted an experienced language expert to be able to discover language in a very unusual place! Hours turned into days and days to months and still the work proceeded. In 2010 Scott addressed the “Oregon Sasquatch Symposium” in Eugene, OR in mid-June. On that occasion, he introduced his “Sasquatch Phonetic Alphabet” for the first time. Using the Morehead-Barry tapes, he had catalogued every sound in there and created a transcript of their communications… and made it available to those attending that event! There were some very important parameters that had to be understood in perusing this work. This was a transcript in their language of their utterances… NOT in our language. They were NOT words… to recognize words we would have to know the syntax and grammar as it applies to their language… we don’t. At given speed, nothing was recognizable! It was only when it was slowed by MORE than 50% that the morphenes began to appear in the language. Being slowed less than 50% simply did not allow even someone as skilled as a 20 year Navy Veteran to make sense of it. The question is often asked, “Can you hear actual words in it?” and the answer to that, is a resounding “YES!” One can hear words… in any language you wish to listen, while running at the normal speed with no slowing, cognates appear. Cognates are the sounds that come forth that make it appear to be in this language or that one… Scott has asked people of a range of languages to listen to the raw data at original speed and invariably, they recognize words from their own language there… from Japanese… from Spanish… from Chinese… from Slovakian… etc… et alii. But, are they words? No, they are not… they are cognates… they are sounds created by the use of a finite number of phonemes to create an even more limited number of morphenes which will, occasionally create a cognate we recognize. Recent events have brought new emphasis to an old topic. I was at a conference in April, 2017 in Washington, the state, not the city, and listen to a speaker espouse a principle wherein he recognized words from Sumaria or Gilgamesh that the Sasquatch People used in their communications. 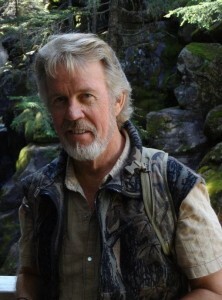 This person was heard to say that what he had done was to have given people a “Rosetta Stone” to the understanding of the Sasquatch Language… he had not… he had recognized some cognates and being of well above average intelligence (dumb people don’t ever have this problem) he carried it through to what felt like a logical conclusion… but based on a flawed premise. This is not the first time I have seen this happen, nor will it likely be the last, people being what they are and given the fact that I do not usually hang out with the intellectually challenged. I ignored prior instances because I didn’t care about those making the statements, so just countered it at the time and left it alone… Not so here… this person is a friend… and I value that quality… and he will know now. We now need a recorded conversation such as Bob and I had last summer on the Touchet River with Barb to video it where one could hold up an apple and he could say ugawhotme… and we’d all know there were Red Delicious Ugawhotme and Golden Delicious Ugawhotme and many other ugawhotmes grown… Perhaps Sandy could step forth to get this done?